There is a commonly repeated narrative that while Black men and boys are under attack in America and are in desperate need of intervention and assistance, Black women and girls are fine and in most instances, excel above and beyond their male counterparts and even thrive in key areas. The women of the Nation of Islam regularly go to neighborhoods in cities around the country and work in schools to help uplift and fellowship with Black women, teens and girls. But a critical analysis of data along with the stories and voices of Black women, teens and girls show the reality of continued struggles and challenges faced daily—often with limited or no support. Black females attempt to navigate in and through a society that views them through the lenses of White supremacy, Black inferiority and sexism. Despite the success and prominence of Black women like Oprah Winfrey, Beyoncé, Shonda Rhimes, Serena Williams, First Lady Michelle Obama and less well-known sisters like 4-Star Admiral Michelle Howard, the Navy’s second highest ranking officer and the highest ranking Black woman ever in any branch of the U.S. military, the road Black women and girls travel for acceptance and validation is an uphill one. Even those who “make it” find their intelligence, beauty and talent challenged, scrutinized and called into question. “The way Black women are valued has to change. The fact that there are 64,000 missing Black women and nobody seems to really want to do anything about it or even acknowledge it I think speaks to the fact Black women kind of carry on in this society with a sense of invisibility, that they’re not noted, cherished or valued,” April V. Taylor, a blogger and community organizer told The Final Call. According to data from the Black and Missing Foundation, a non-profit group that raises awareness of missing persons of color, of the over 316,435 missing females reported in the U.S. in 2013, Black females were 37 percent of those missing ages 17 and under and 28.2 percent of those missing ages 18 and older. There is not one individual issue that if addressed through policy would solve all the problems which are multilayered in scope, continued Ms. Taylor. “We can look at that in terms of economics. No gender or race makes less money than what Black women do but it’s much bigger than that. I mean we could pay women the same as men and that still may not mean that they’re valued and cherished and given the respect that they deserve,” said Ms. Taylor of kulturekritic.com, a political, pop-culture and news website. Media plays a pivotal role in how Black women are portrayed and viewed by society, often perpetuating stereotypes or false images of Black females. Muslim women sharing valuable information on proper nutrition at a Chicago-area school during a Young Ladies Summit themed, “Black Girls Rock” last summer. Carla Morrison is founder and executive director of Sisters of Today and Tomorrow, a non-profit mentoring organization with branches in New Haven, Conn. and Atlanta. Her group works with Black girls and teens. The African American Policy Forum along with several racial and social justice groups recently analyzed challenges facing Black women during a week-long online series of actions. It included community dialogue, webinars and social media conversations under the hashtag “Her Dream Deferred: A Series on the Status of Black Women” and ran March 30-April 3. It examined areas of education, violence, wealth, racism and health. In all areas, Black women were disproportionately on the negative side of statistics. Black women have the lowest net wealth gap than any other racial or gender group, are incarcerated at three times the rate of White women, have the highest rate of HIV among all women, are more likely to die from breast cancer and in 2010 Black females ages 10-24 experienced the highest rate of homicide than any other group of females and even higher than White men. Black girls are suspended six times the rate of White girls. Even if they make it to an institution of higher learning, that does not guarantee success. Sandy Muhammad, National M.G.T. Student Captain of the Nation of Islam. “There’s a common myth that Black women have overwhelmingly made it since they are enrolling in college in numbers that are high compared to their Black male peers. The myth goes on that this must mean that they are somehow immune to the racial crises that plagues the brothers and are not in need of initiatives specially targeted to support their well-being,” Kimberlé Crenshaw, founder and executive director of the African American Policy Forum, said in remarks during the “Black Women Have Not ‘Made It:’ How the Current College Enrollment Narrative Undermines the Real Educational and Socio-Economic Barriers Facing Black Women” discussion at part of the #HerDreamDeferred series. Black women, though slightly overrepresented in two year colleges, are underrepresented at four-year institutions and have lower graduation rates than White women, said Ms. Crenshaw, adding that 9.7 percent of Black women enroll in college, only slightly higher than the 7 percent of Black men. In 2013 a Black woman with an Associate’s degree was less likely to be employed than a White man with less than a high school diploma. The median wealth of Black women is just $5, lower than any other group. Black women were more impacted by the housing crisis, are more likely to face foreclosure and lost more jobs during the recession than any other group. Ms. Morrison is optimistic at changes, growth and development she sees in girls and young women her group works with. Young women with some key components active in their lives seem to want more and do better she said. M.G.T. around the country go into neighborhoods, talking to women. “Those couple of things are a faith-based organization presence be it a church, mosque or synagogue, something. The second would be that non-profit organization that’s feeding them community-wise trying to teach them to be more leadership-like which would be like a Sisters of Today and Tomorrow. The third would be a positive woman influence that’s in their home, their mother, older cousin that they live with, their grandmother, something,” said Ms. Morrison. Young women and girls with those types of resources have at least one, if not all those entities correcting negative behavior saying, “that’s not OK” and showing them “I know how to interact with another woman and we have a positive relationship, there’s no fighting here,” said Ms. Morrison. It is important for older Black women to forge relationships and mentor younger Black teens and girls, help them cultivate and recognize their gifts, skills and talents and help them to realize their value, without being judgmental. Black Girls Rock, the campaign spearheaded and founded by Beverly Bond celebrates and recognizes the immeasurable contributions Black women and girls make to the fabric of society. The 2015 Black Girls Rock Awards show aired April 5 and this year’s honorees included filmmaker Ava Duvernay, educator Nadia Lopez, actresses Cicely Tyson and Jada Pinkett Smith, singer Erykah Badu and humanitarian Dr. Helene D. Gayle. ment and spoke about her own struggles growing up with doubts about her value, despite having a loving mother and father who encouraged her. “No matter who you are, no matter where you come from, you are beautiful, you are powerful, you are brilliant, you are funny. Let me tell you, I am so proud of you. My husband, your president, is so proud of you,” Mrs. Obama told the audience. She honored Chental-Song Bembry, Gabrielle Jordan and Kaya Thomas, three young, beautiful entrepreneurs and change-agents, this year’s recipients of the Making A Difference (M.A.D. Girl) awards. “Our country has to come to terms with the fact that women are nurturers and where life comes from. Women have used the strength that they carry, Black women in particular, to be leaders in this new social justice movement that’s unfolding around ‘Black Lives Matter’ in racial justice,” said Ms. Taylor. Questions have risen about the protection, active support and strong voices of Black men and their role of speaking out on the injustices and abuses Black women endure. 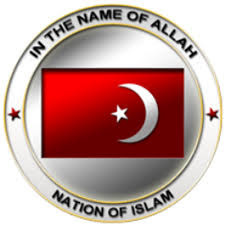 With the establishment of the Nation of Islam in North America in 1930 by Master W. Fard Muhammad, teacher of the Honorable Elijah Muhammad, the critical and vital role of women was present from the beginning of the movement. A special class, the M.G.T. & G.C.C. (Muslim Girls Training and General Civilization Class), was set up specifically for Muslim women where they are taught about who they are as women of God, and to tap into the gifts, skills and talents they possess through 7 training units. The Honorable Elijah Muhammad allowed no men in the class, instead designating the training and development of the sisters to other Muslim women called M.G.T Captains. 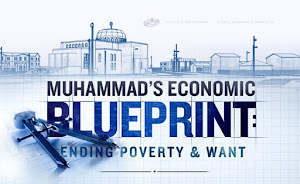 Mr. Muhammad and today, Minister Louis Farrakhan, are the spiritual heads of the class. The protection and elevation of the Black women in the Nation was always in the forefront with women holding key positions of leadership and influence. During the early days of Islam, it was women like Mother Clara Muhammad, wife of the Honorable Elijah Muhammad, and others who kept the movement afloat and functioning while he and other male members were thrown in prison for refusing to serve in the U.S. military. On several occasions the women fought alongside the men when the Muslims were attacked by police for educating their own children. The Nation of Islam’s Provisional Constitution has a special section dealing specifically with women’s rights and Min. Farrakhan’s national spokesperson is attorney, author and radio personality, student Minister Ava Muhammad. He also appointed her as the first woman over a mosque in the Muslim world. Women in the Nation of Islam are doctors, lawyers, stay-at-home moms, teachers, entrepreneurs, artists and more. They are encouraged to seek knowledge to rise to their fullest potential. Min. Farrakhan enters to address the sisters’ class rarely, which is why the internet, radio and social media circles are buzzing about April 18. The M.G.T. 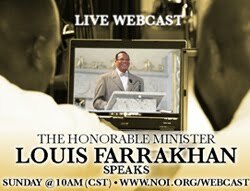 Class, which is usually only for registered women and girls of the Nation of Islam, is being opened up on that day for a Women Only live webcast. Min. Farrakhan will deliver the keynote address from Chicago with the theme “Save Our Girls: A Nation Can Rise No Higher Than Its Woman.” Nation of Islam mosques and study groups nationally and abroad are opening their doors that day for women to hear this vital message. Under the direction of National M.G.T. Student Captain Sandy Muhammad, the women of the Nation in various regions around the country and world are excited, reaching out to churches, mentoring groups, high schools and college campuses, inviting women and girls to participate in this first of its kind event. Organizations are sponsoring buses and thousands of women and girls are expected nationwide. Sister Gilda Muhammad, M.G.T. student captain of Muhammad Mosque No. 54 in Compton, Calif., is coordinating activities for the Western Region. 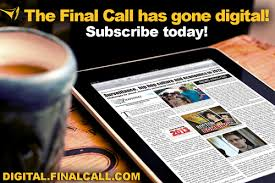 There is so much excitement in the community she told The Final Call. We are reaching out to several Black organizations and churches, she said. Charlene Muhammad, national correspondent for The Final Call newspaper based in Los Angeles, dedicated her Liberated Sisters radio show April 4 to the Save Our Girls event. The show was broadcast on KPFK 90.7 FM and a replay of the show is available on kpfk.org. “It’s so exciting. It’s building up. They’ve created a Facebook page and it’s all over the media. 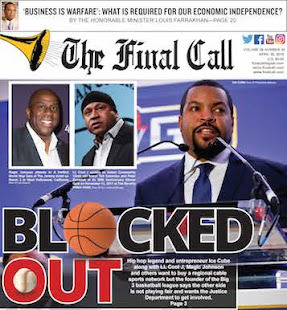 So Insha’Allah (God-willing) we on the West Coast are shooting for 3,000 … we are working, fired up. It’s like a movement on the West Coast,” said Gilda Muhammad. Headquartered in Atlanta, LaShonda Muhammad, southern regional M.G.T. student captain told The Final Call sisters are working diligently and excitement is also building. The Muslim women have forged great relationships with area organizations through the years. On a flyer promoting the Atlanta event is a bar code which when scanned, shows a video clip of Min. Farrakhan speaking on the beauty and value of the woman. Muslim women are posting and sharing the flyer on Facebook, Twitter, Instagram and other social media networks. On April 5, the day many Christians celebrated Easter, the Muslims visited 20 churches in and around the city to invite female congregants to the event, said LaShonda Muhammad. She and the Muslim men and women often visit some of the area’s poorer communities. “What I have recognized when I have spoken to several of the women is the limited resources and they’re feeling trapped in their environment that there is no way out and ‘this is all that I know, this is what my mother taught me and what my grandmother taught me, I don’t know anything outside of this,’ ” she explained. That mindset is a hindrance to the growth and development of Black women, she continued. When asked what women can expect from Min. 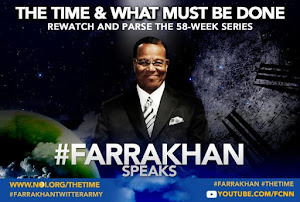 Farrakhan’s upcoming message, LaShonda Muhammad said she knows he will give and provide guidance to make Black females think outside of that box of this society as well as above limitations imposed by themselves and their families. 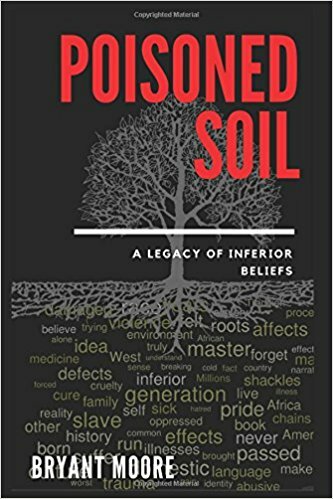 “The most powerful impact the teachings of the Honorable Elijah Muhammad as given to us by the Honorable Minister Louis Farrakhan has for us as Black women is because the teachings speak directly to the core of who we are and who we were designed to be by God himself,” said LaShonda Muhammad. Click here for more information about Save Our Girls.